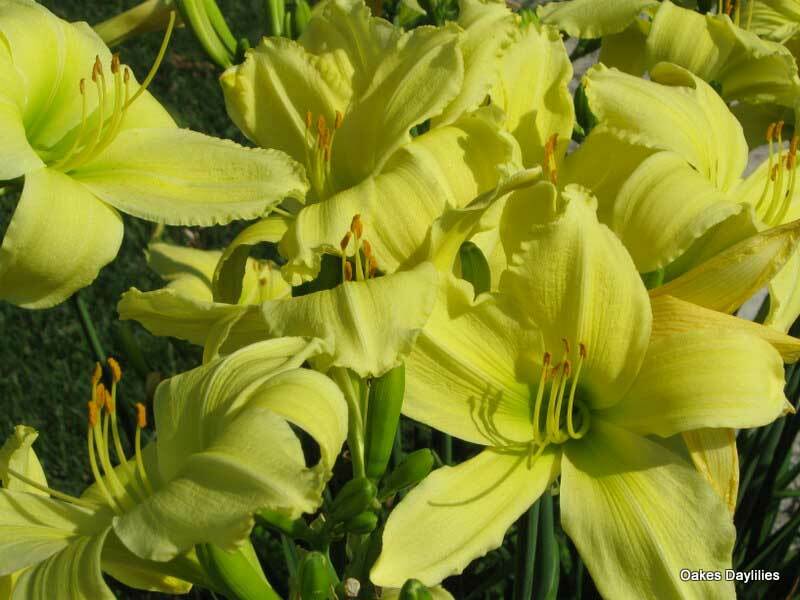 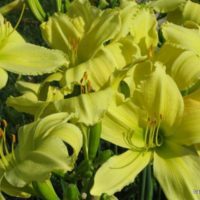 A great lemon colored daylily that does especially well in Southern California. 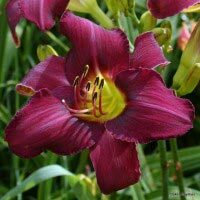 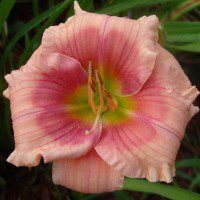 This is a beautiful daylily! 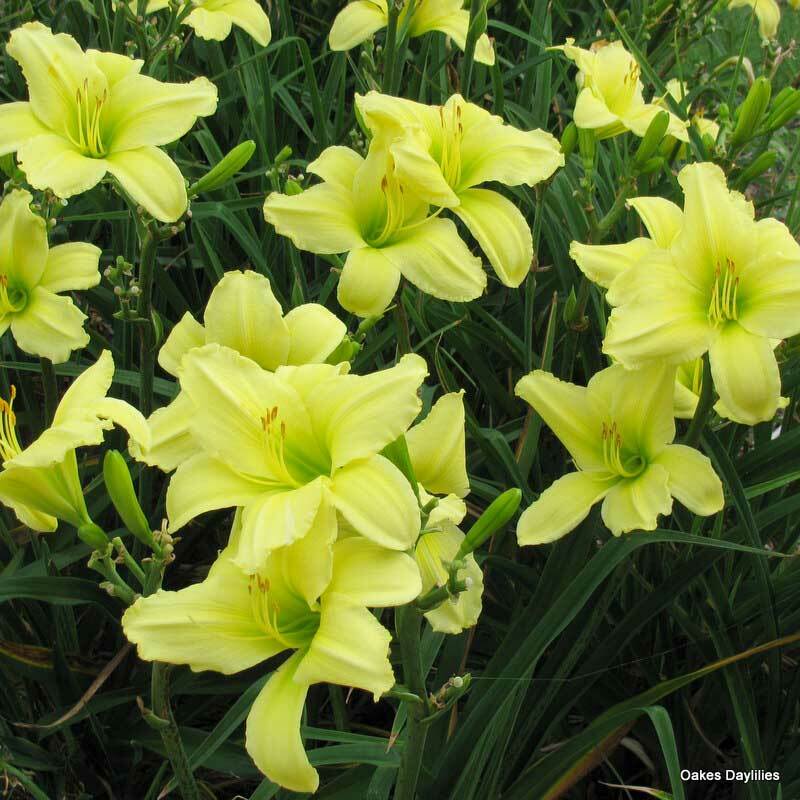 Ordered last year and love these creamy luminous yellow blooms. 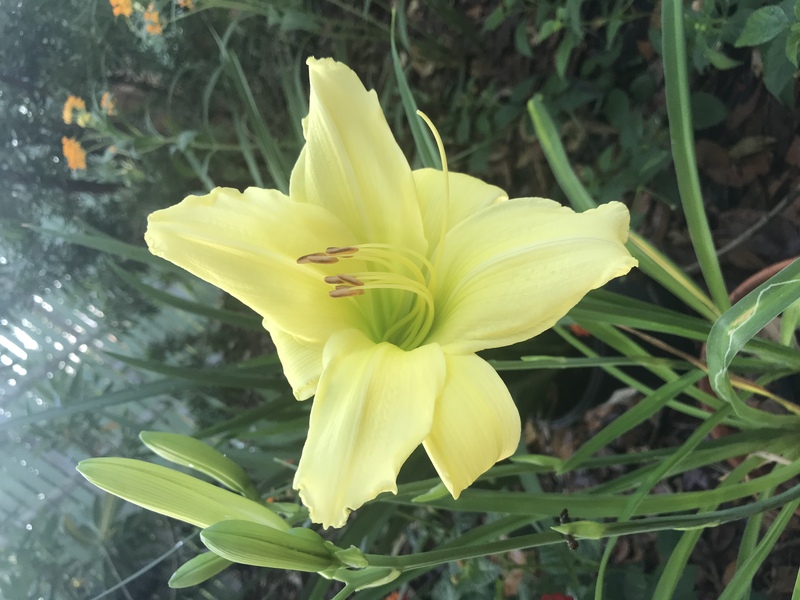 I need to order more! 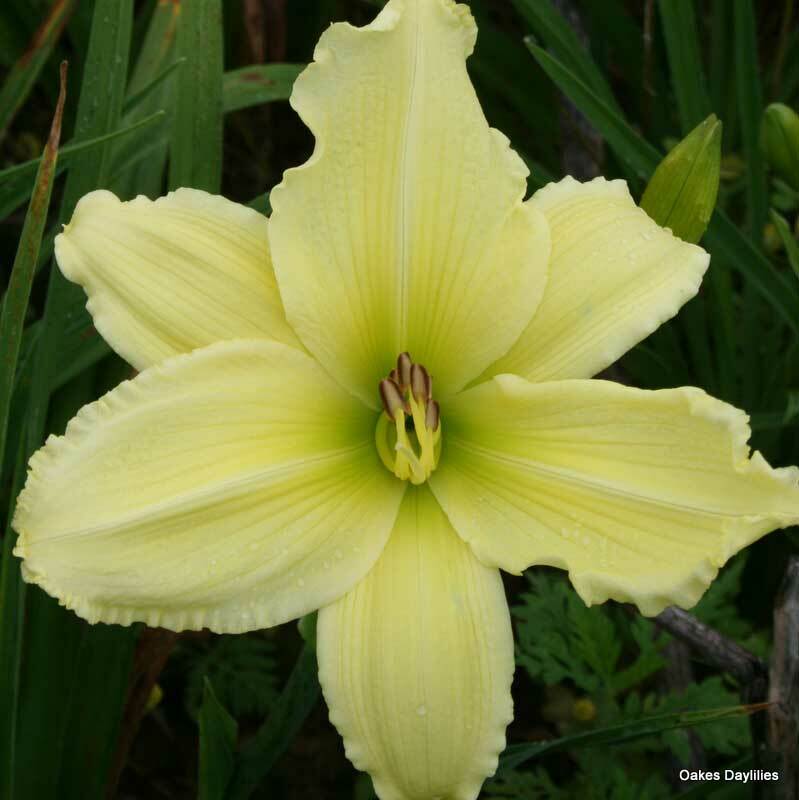 This flower was sent to me as a gift from Oakes as they always send something equivalent to 10% 0f your order. 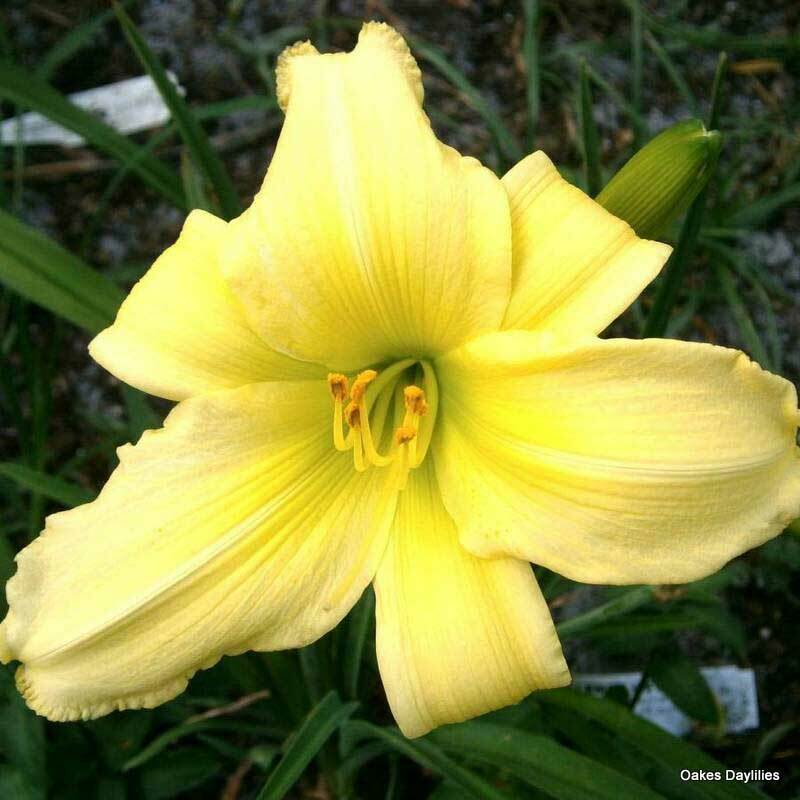 I was shocked and awed when the flower opened. 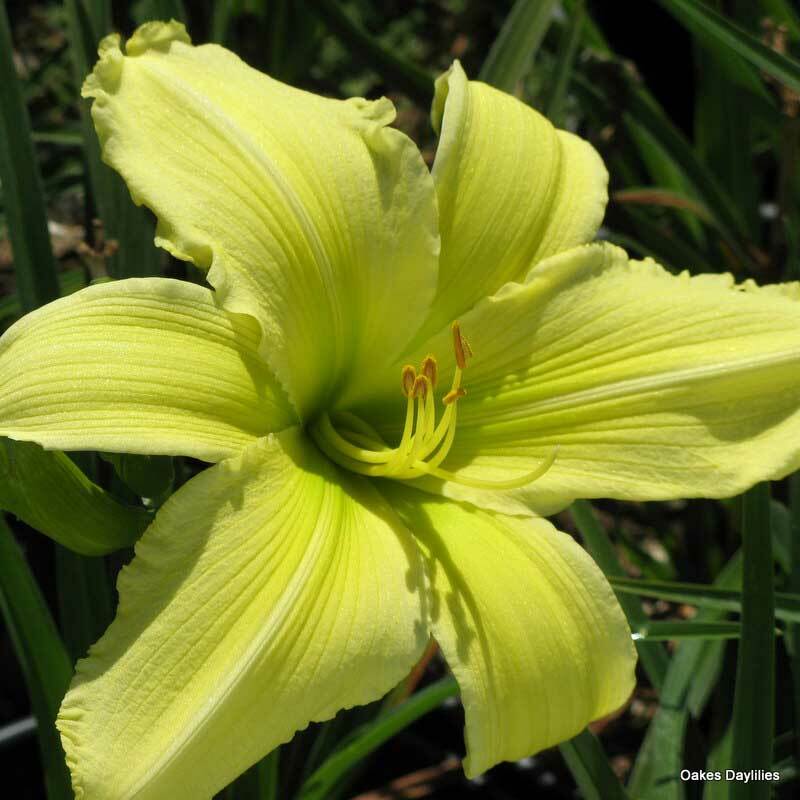 Not only was the 6 inch, creamy yellow flower breath taking, but the lime green eye zone was almost electric. 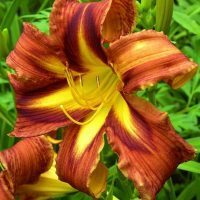 As the sun started to set the colors appeared even more intense. 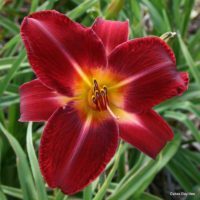 I was simply knocked out by this daylily.